1. 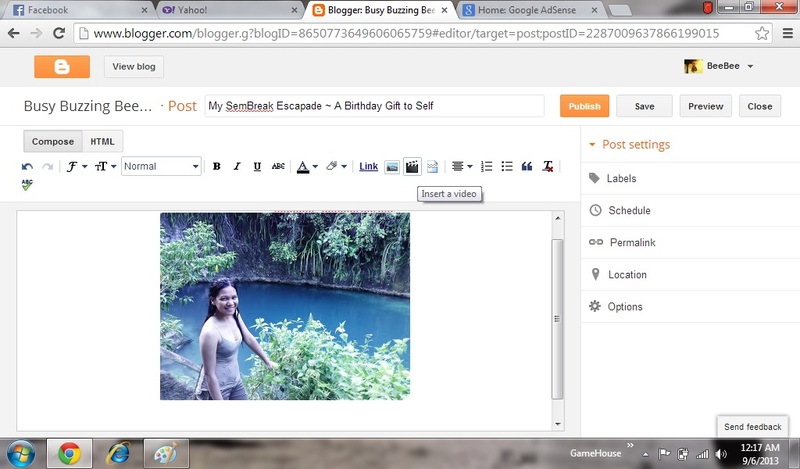 Enter the Title of your Post and look for the VIDEO icon in the blog post toolbar/formatting bar. It can actually be found just beside the Image icon. Choose the video you wish to upload. 2. 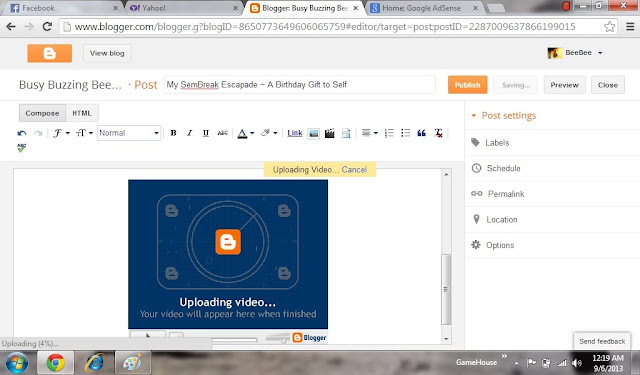 After you have chosen the file/video to upload from your computer, an image like below will appear, indicating that the video you have chosen is in the process of uploading. 3. 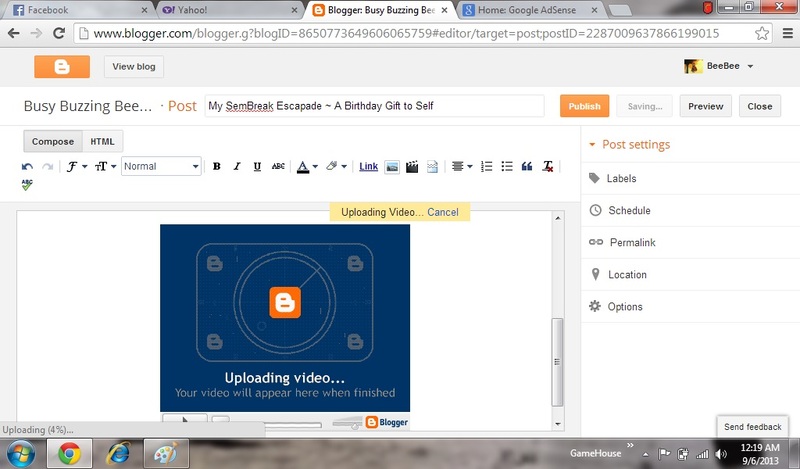 Wait until the your video is completely uploaded and then click PUBLISH so that your post will be visible.